India’s first offshore wind power project has been announced by the federal government. The 100-megawatt project will be built off the coast of Gujarat, the home state of Prime Minister Narendra Modi. A Memorandum of Understanding (MoU) was signed by the Ministry of New and Renewable Energy and a number of state agencies and companies, including the Gujarat Power Corporation, the National Institute of Wind Energy, the Power Trading Corporation, the Power Finance Corporation, the Indian Renewable Energy Development Agency, the Power Grid Corporation of India, and the National Thermal Power Corporation. The project, as well as environmental evaluations, will receive funding from the government. According to public officials, power transmission will also receive state subsidies. 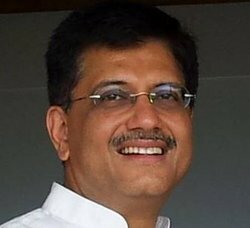 Shri Piyush Goyal, Minister for Power and Energy, described the project as an opportunity in the development of renewable energy resources in India. Mr. Goyal said renewable energy is the way to go. The Indian government said it is preparing a National Offshore Wind Energy Policy. A note has been sent to all cabinet ministers. The country already has over 22,000MW of wind power generation capacity inland. According to the Ministry of Power and Energy, global offshore wind power projects aggregating to approximately 7.5GW have been installed in the UK (4.2GW), Denmark (1.2GW), Belgium (0.7GW), Germany (0.6GW), China (0.4GW), the Netherlands (0.2GW) and Sweden (0.2GW). Renewable energy is energy whose source lasts forever, i.e., we can never use it all up so that there is none left.